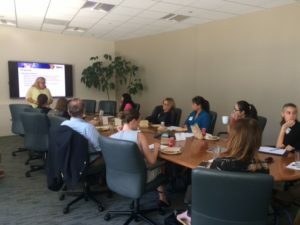 On June 20, 2017, PAABA’s Employment Law Section and Tax Section presented “Tax Issues in Employment Law” at Wilson Sonsini Goodrich & Rosati. 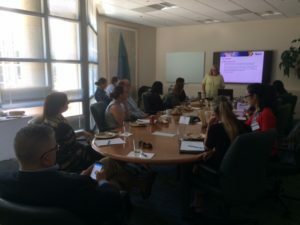 Speaker Mindy Mayo is a Director and Human Capital Taxation practice leader at the San Jose location of Ryan, a national corporate tax services provider. Ms. Mayo’s expertise is in payroll auditing, and she led us efficiently through tax traps and best practices in employment contracts, settlement agreements, and severance agreements. Auditors will not accept an employer’s classification of a worker as an independent contractor in the initial employment contract, but will examine the worker’s actual day to day work practices to see if they are congruent with contracting. Auditors prefer to come after the employer for any taxes unpaid by the employee following a settlement (not an uncommon occurrence in Ms. Mayo’s experience), which makes the indemnification clause a key part of a settlement agreement from the employer’s perspective. The EDD is a more aggressive and more prolific auditor than the IRS, and will provide its audit material to the IRS on request — so don’t think it’s all over and done just because you’ve squared your accounts with the EDD! Prudent employers will maintain a reserve. Class action settlements are a logistical nightmare, requiring the employer to work closely with a third party administrator to ensure that all payroll data is properly acquired and entered; expect delays in issuance of your W-2 or 1099 forms. Payroll will almost automatically process a W-2 issued as part of a settlement under the employee’s existing W-4 form. You can adjust the amount paid out under a W-2 by providing an updated W-4, but be wary: the employee will find him or herself on the hook for the taxes not taken out up front come the end of the year. If you’re going to do this, consult with a tax expert first. Reimbursement of business expenses to the employee is not taxable, even if it is included in a severance or settlement agreement. As a general rule, if something would not have been taxable in the ordinary course of business, it won’t be taxable in a settlement. Remember that attorneys’ fees obtained in a settlement are still considered income to the employee. A correct 1099 will reflect the entire settlement amount, including attorneys’ fees, as income to the employee, even if a separate 1099 is issued to the employee’s attorney. If an employer is including continuing medical coverage (directly or via reimbursement for COBRA) as part of a severance agreement, it is best practice for the employer to include a specific provision requiring the employee to provide monthly documentation of any health insurance payments.